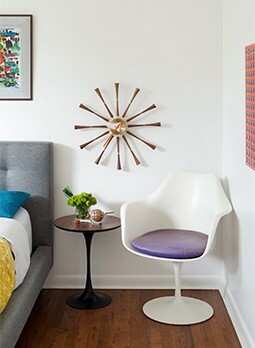 Nobody can deny the appeal of a sputnik lamp, but they come in so many shapes and sizes! 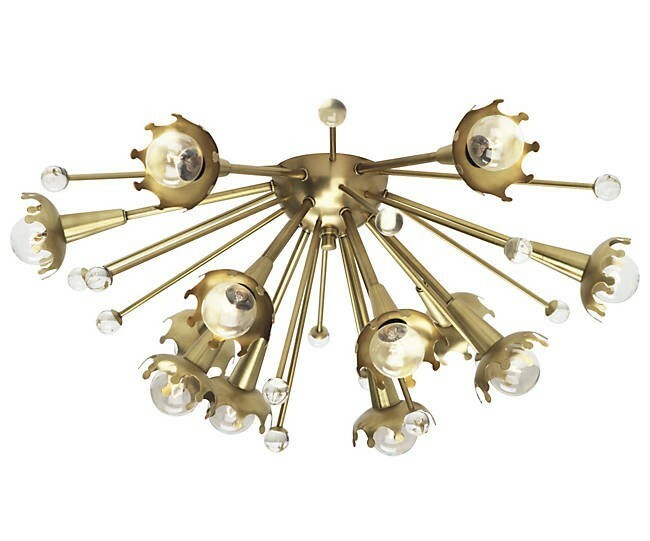 If you don’t have the space for the glorious full chandelier style sputnik, try this flushmount sconce from Lumens in either antiqued brass or polished nickel! 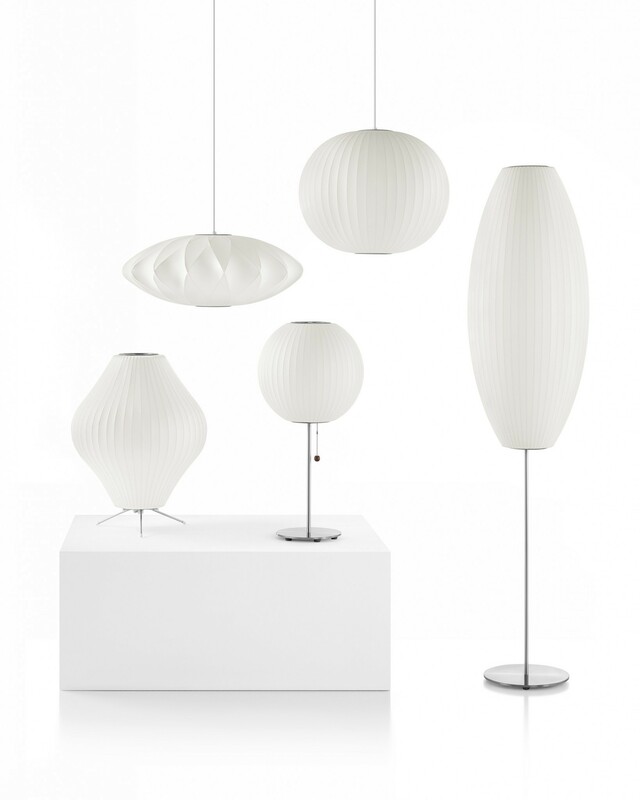 We love arc lamps as much as the next modernist, but there’s just something about a drum shade we just can’t shake. 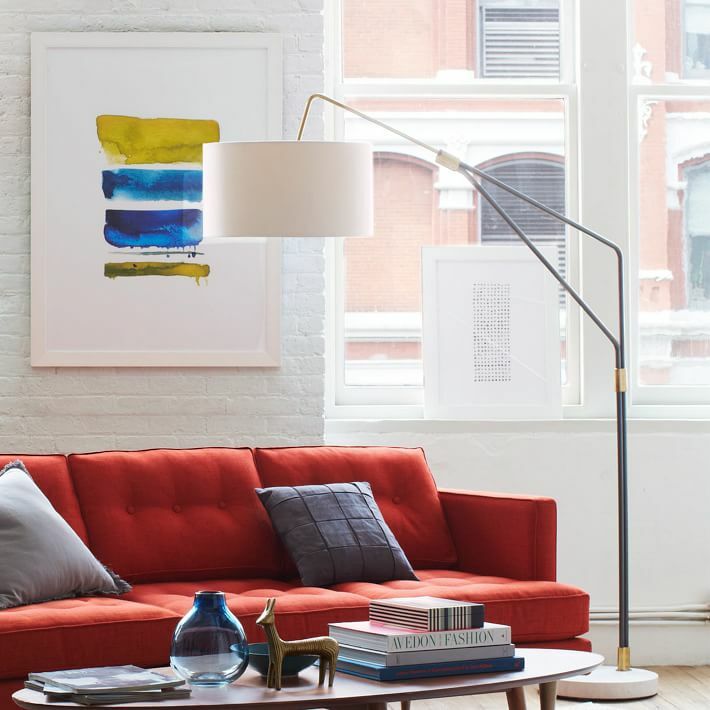 If you’re as crazy for both arc lamps and oversized drum shades as we are, you need this Midcentury Overarching Floor Lamp from West Elm in your life. Sometimes, your credenza needs just that extra bit of oomph! 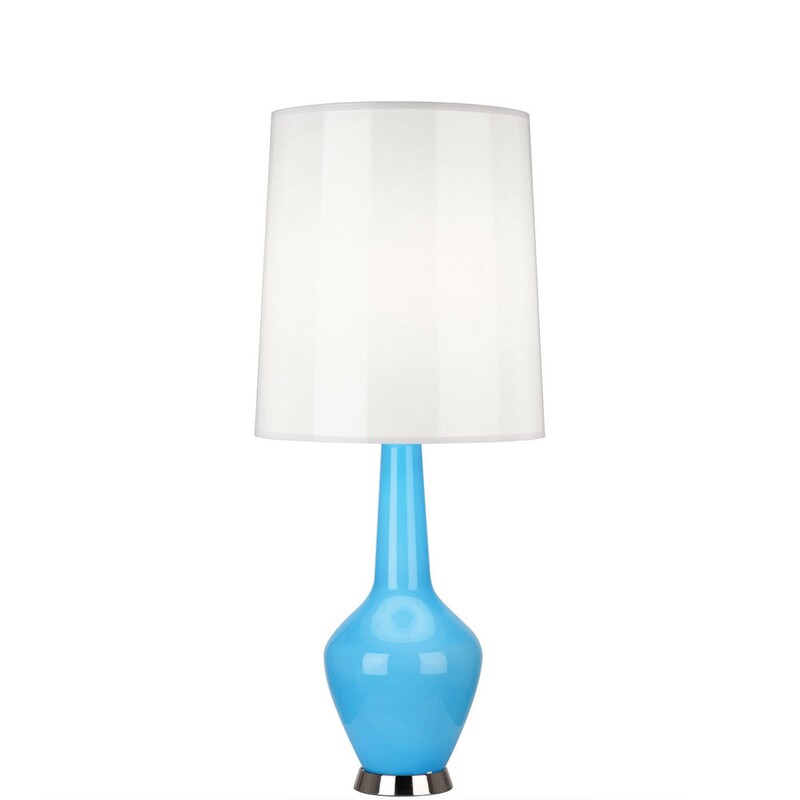 Well, don’t just toss any old lamp there—add a pop of color with the Capri Accent Bottle Table Lamp from Jonathan Adler. Available in blue, grey, orange and white, this curvy beauty is sure to spice up your living space while mingling with your midcentury color scheme. You didn’t think we’d finish this list without a true classic, did you? The Nelson Bubble Lamp comes in more shapes and sizes than we can even count, but no matter what space you’re looking to fill, there’s a style for you. 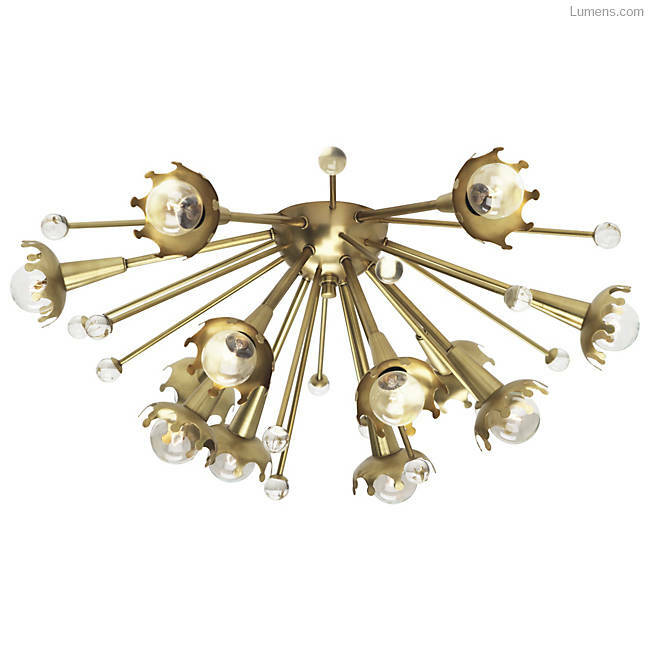 Need a dining room chandelier? Nelson. How about a floor lamp next to the sofa? Nelson. Is more light required at your desk? Nelson! Seriously, this baby is a modernist must-have!